Blys is a proud sponsor of the 2018 Variety Big Kids Charity Ball. This black tie occasion draws crowds from all over the New South Wales to raise funds for children around Australia. 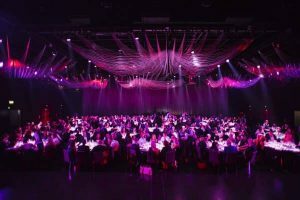 This year the gala ball will be held on Saturday 2 June at The Star in Pyrmont, Sydney. The Variety Children’s Charity helps to improve the lives of kids from 0-18 who are experiencing a variety of challenges. These include disabilities, chronic illness, geographic isolation, financial hardship and critical care. With funds raised, Variety provides support for kids, their families and supporting organisations. Support ranges from grants, services, education programs, scholarships and kids community events. Find out more about the Variety Big Kids Charity Ball or make a donation here.